It's taken me about five years to perfect winged eyeliner and now that I have, it's actually very simple once you get the hang of it. I feel naked without eyeliner on and I think adding a wing creates a feminine yet bold look. To create my winged liner I start by drawing a line along my lash line, it doesn't have to be neat at all, mine usually isn't! I then draw a straight line to make the wing, imagine your lower lash line carries upwards and map that line out to create the basic shape. Alternatively, you can create the wing at any angle, this may differ depending on your eye shape and what suits your eyes! I then simply join up the end of that line with the first line along the upper lash line and fill in the gap. I find liquid lines with thin tips perfect for this as it's very easy to fix the wing. Clean the lines, making sure it all flows together and you have your perfect winged eyeliner! When I wear winged liner, I love to also apply false lashes as it makes my makeup look even more girly and adds definition to the eyes. 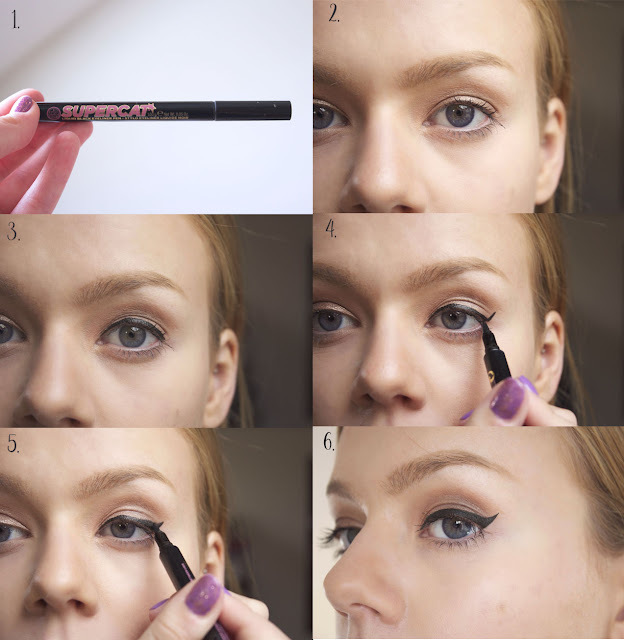 I use the Soap and Glory Supercat Eyeliner which I find brilliant for perfecting a cat eye, it is thin and therefore can create crisp lines as well as being quite firm so you have control over what you're doing. However you can also use gel eyeliner, if you can get the hang of it! 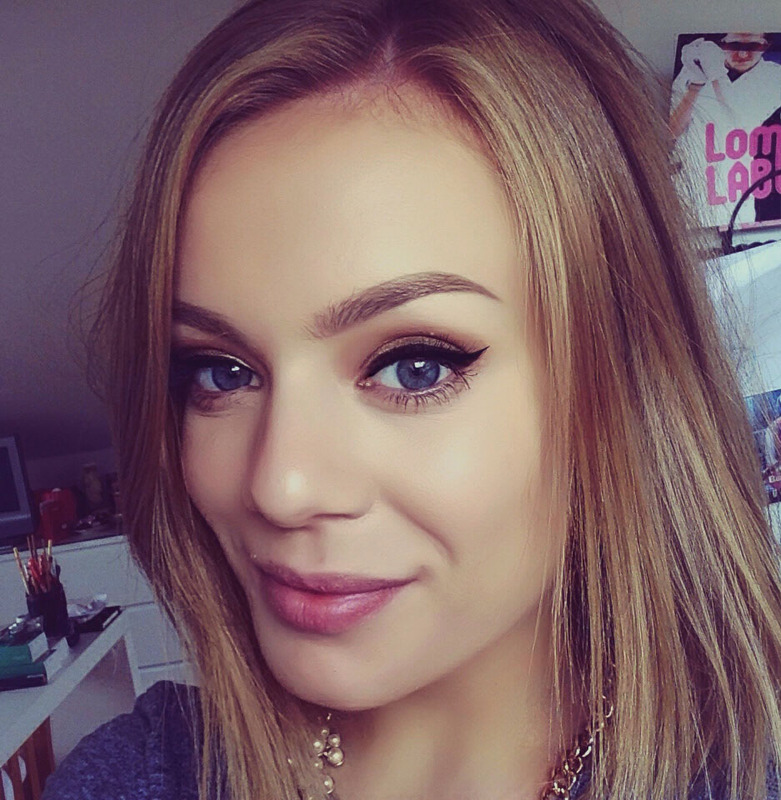 What do you think of winged liner? It does look perfect! I've heard people use spoons to do it but I think you either have it in you or not. You've mastered it though, kudos for that. The supercat liner is fab and makes it so easy! I do like to go over it though with a waterproof liner, as I find it can fade and transfer a little.